We have comprehensive in-house knowledge about the entire GE heavy duty gas turbine fleet and the different stages of its development. Our highly experienced personnel can guarantee the utmost professional handling of customer enquiries and provide the best services in this field. (like inlet ducts, exhaust silencers etc.). 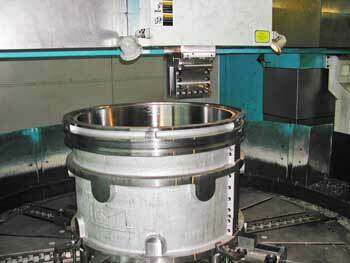 We produce these parts based on individual requests. Our combined experience and knowledge in the field of gas turbines as well as our flexibility are just a few of the many advantages we have over the OEM’s. Another advantage lies in the economics of it: when these products are not included in an OEM’s current scope of production, they would require special personnel resources to be implemented. This would in turn negatively affect the delivery times and price of the products.